perfectpointe Any stretches you all know of that help with strenghtening your back for arabesques? An exploraton of gender, women's relationships, and the human struggle to communicate. Music by Ani DiFranco, Tegan & Sara, Alix Olsen, Melissa Ferrick, Coco Rosie. 7:55 pm - Hi, I'm new!! hotfrenchfry Hi I thought your comm. looked interestin. I have taken tap since I was 3. I have also taken everything possible except modern and african. I would gladly try both, and I am Ok at what I do but I really love it. I want to be a tap teacher. I take at regency dance academy. (link on my journal,plug,plug,plug) I love music and art, and I would love to meet new people who are into dance as much as me, and grow as a dancer. immoralusername How can I be more than an armchair activist? armchair artist? So much life/death shite is going down - how can I bring about concrete change around race & class & *stuff*? Ive got another ebay auction up. Another autographed NYCB poster, framed & matted. If you (or anyone you know) might be interested, check it out! but I have an Ebay auction up. Im selling an autographed poster from the 2000 season of the NYCB. and signed by over 40 members of the Corps, and Principle dancers. I'm an 18 year old dancer, drummer, poet and, a little too involved activist. I first off want to say THANK YOU SO MUCH FOR BEING A TRANS POSITIVE COMMUNITY. Yeah, I get respect from other queers, my drumming group, and my other activists, but the majority of society is transphobic. Anyways my current issue is with well both Bush and Martin, but seeing as I'm Canadian I focus on Martin, although its Bush's plan. What I am talking about is Ballistic Missile "Defence". Here in Ottawa we've started a campaign to directly target Martin and to bring awareness to the community to make sure BMD is shot down (pardon the pun) and is not endorsed by Canada as we wish no part in an arms race. Anyways so today I went to an action directly outside the Prime Minister's Office in -40oC. Note to self: Even drumming and dancing when its 40 below will not keep you warm. I encourage everyone to demonstrate, write letters, and promote information about Ballistic Missile "Defence", or as some of us have started titling it Ballistic Missile Bu..Sh..
terpsichore5678 Hey, I'm new here... I'm a 17 year old female ballet/modern/contemporary dancer from Flint, MI, and I choreograph as well. I've always thought of my art, and any art, for that matter, as an ideal place to voice my views on the world, and the state of humanity--particularly in light of what's happened to US policies these past years. My last piece choreographed, Cold Fire, was an anti-war modern piece for four dancers set to music by Carl Orff (Badlands Suite III). My dancers and I used Picasso's Guernica as a starting point, and then used poetry and photography to bring the piece to another level. Cold Fire was performed at the 2004 RDA Midstates Festival, and a few local performances. I use Cold Fire as an example of my dedication to opening the eyes of the world to not only the power of dance to communicate the state of humanity, but also to the corruption of our government. This is an awesome community, I can't believe I found something so perfect for a person like me-- an active liberal, and dedicated dancer and choreographer. So great! xpurplepeacex Hey everyone! i'm new here, my name is Tina, i've been dancing for most of my life. 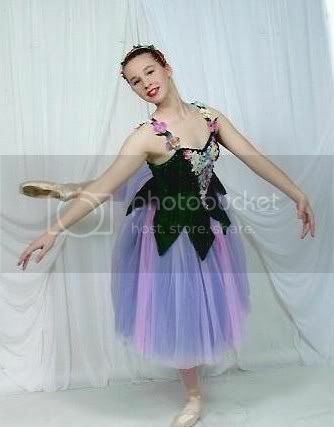 Jazz and ballet when I was little, but then cecchetti ballet pretty seriously until last year. I quit my studio because of the emotional stress that came from having the wrong "dancer body." I was constantly told that I was too fat, and the time commitment was making my schoolwork and relationships suffer. So I quit. I became a lot happier, but I missed dance sooo much, so I started taking a few classes again this year. Next year I'll be going to college, and hopefully will take classes there and possibly join a dance group. We shall see. This is my first time posting and I just wanted to start off my saying how AWESOME it is that there is a community for radical dancers!! This is totally the community for me. I'm a 20/f university student from NYC currently studying in the UK for the year. At my uni in the states, I'm a member of the Dance Theatre Group, which is a mostly modern based group and since there is no dance program here, I'm missing it a lot. When I get back next year, I'm thinking about choreographing a piece that expresses my feelings about globalization and the suffering of oppressed minorities and those being persecuted for their beliefs around the world today. 9:09 am - one nation under texas. i've been dancing classical ballet for 16 years. im 19 yrs old. and from madrid, spain. im living in the usa right now. dont remind me. i cant believe i gave up my spanish citizenship for this piece of crap country. anyway i love this community and what is stands for. this is great. the highlight of my week. america better be ready for a revolution. im so tired of this administration. and now that my own state is controlled by a repulican senate, govenor, and even my county has a republican mayor--i dont know what else i can do. this is a big huge nightmare. yesterday felt like a big huge dream. I am extending my deepest regrets and sympathy to those of you living in the US - there's a couch in my house in Canada for anyone who wants it,. but as per candyprisonbars's last post, I encourage you to stay and fight. I will come and fight. In the meantime, these are some wonderful words of wisdom courtesy the lovely Margaret Cho. I hate it when people corrupt a good thing.